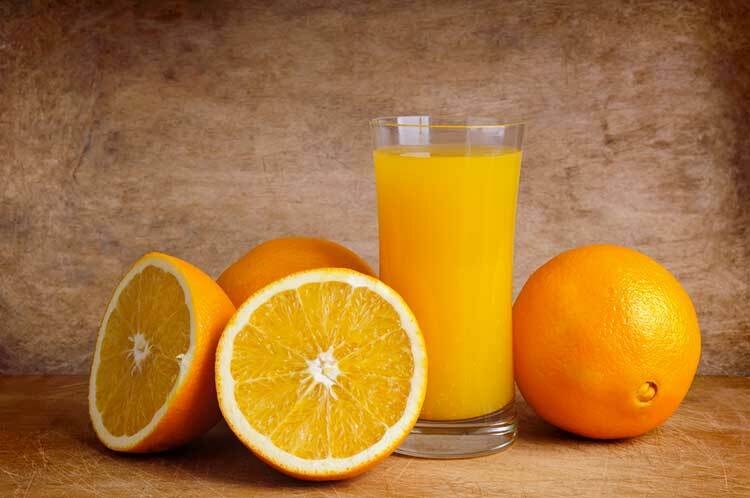 Making orange juice at home has never been easier, you can order an excellent value juicer from Amazon have it delivered the next day and enjoy a refreshing homemade orange juice in no time. The problem is knowing what type of orange juicer you want to buy, which is where I come in. In this post I’ll explain the different types of orange juicer going into which one is best for you then I’ve reviewed all my favorites that are available on Amazon so you can order yours today. There are four main types of orange juicer, 2 are manual, the press and what I call the twist juicer, then you’ve got the electric orange press and your regular ol’ juicing machine that can juice oranges and any other fruit and veg you might want. Want to know which one is gonna be best for you? Read on. 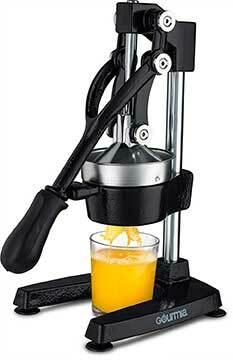 These are the classic orange juicer, my mom had one of these in the cupboard for years and years. You put the half cut orange down on the spike and squeeze it till all the juice comes out. 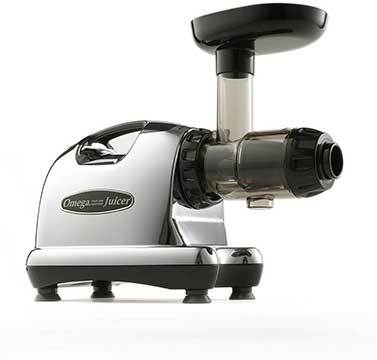 Super simple to use, very cheap, but not very efficient, you can never get all the juice out in the way you can with an electric juicer or even a manual press. But, they are great to use with kids because your kids can use them in complete safety until they get orange juice in their eye of course! These are the big towering things with a large handle to crush down the orange on to a spike squeezing all the juice out. If you’re looking to manually juice a lot of oranges these are great because they’re fast, efficient and do a great job at getting all the juice out plus they’re super easy to clean up after. Not any sort of dance move but in fact similar to the manual one only the spike is on a motor and it spins, so you put the upturned orange on the spike, the good ones you then pull down a handle which then presses the orange and turns on the motor quickly getting every last drop of juice out. If you’re just looking to make orange juice then this is the way to go, really efficient getting all the possible juice out quickly and with minimum effort on your part. These are great because of their versatility, you can make orange juice in them sure but you can also make every other type of juice. Vegetable juices, green juices, fruit juices, all made simply and easily in your home. 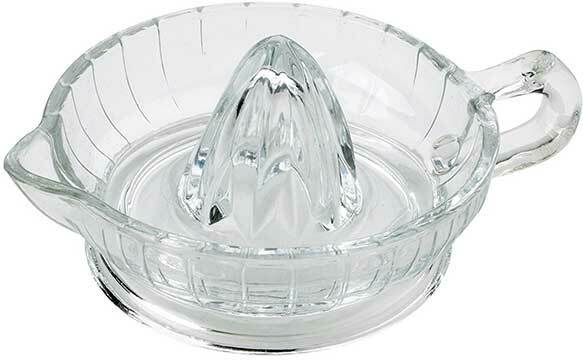 An excellent choice if you like value for money because you can get so many different uses out of it. All of my top choices are available at Amazon so when you see one you like just click the Price & Reviews button and you can read some more info and reviews and order yours. There really isn’t a better orange juicer than the Breville 800 PXL, its design is built to last and effortless to use while giving you the absolute most juice possible out of your oranges. The metal body makes stylish to look at but also resistant to the citric acid meaning it never wears out and never starts to corrode compared to plastic which can start to perish with excessive use. The handle is comfortable to hold and you simply place the half orange on the juicing cone and hold the handle down, it’s also got the safety feature built in of not being able to turn on without pushing the handle down so it’s completely safe to use with kids around. Finally you have the drip stop spout which stops the last few drips of orange juice spilling onto the counter after you’ve taken the glass away so you’ve not got a sticky counter to clean up and all the used parts are dishwasher safe so you’re saving time on the cleaning up. Easily The best choice of Orange Juicer. Click here to view it on Amazon. The Omega Nutrition center is one of my favorite juicers and I wanted to include it because not only can it juice whole oranges (peeled ones!) it can juice every other fruit and vegetable you can think of. So you can enjoy delicious orange juice but also mix it up with some carrots as well, or apple juice or even a nice green juice if you’re feeling adventurous. So while the Breville above is best for oranges and citrus fruit this is the best juicer that can handle any fruit and veg. The perfect choice for someone wanting to start juicing. The Breville further up is obviously the best electric juicer for oranges but I’ve got a couple of other cool ones too, they’re not as good but they are cheaper. 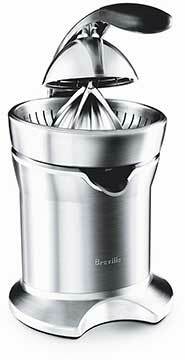 This is similar to the Breville in design and use with the exception that there’s a lot more plastic involved. The price is lower and so is the quality, but, if you’re not over using it and want to enjoy occasional orange juice this is perfect. It’s got suction cup feet which stops it sliding about when you’re using it and a locking spout which opens and closes so you can hold the juice in the machine until it’s ready to be poured making it a little more efficient. 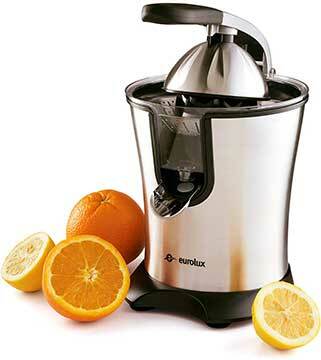 The same on and off lever is present and it’s one size fits all for citrus fruits so not a bad little juicer at all. Small, cheap, and cheerful, this is great because it’s so compact, you juice straight into the container jug which you can then pour out for everyone who wants some. And you can adjust how much pulp gets let through while you juice. The parts are dishwasher safe which is good because it can be tricky to clean by hand leaving you with a strange smell about your juicer, definitely best used to juice lots of oranges. Not as efficient as the other juicers so far because you have to press down by hand but a lot cheaper and generally pretty nifty. So if you have an orange tree in your garden and have a lot to go through so you don’t mind the bit of waste this will see you through nicely. Manual Juicers are easier to clean and are very satisfying to use, you don’t get as much juice per orange but they’re quick and easy to use. This is very heavy duty and it does a damn fine job at juicing an orange, you just cut the orange in half, place it on the cone and pull the handle down. Easy. It’s got suction feet to keep it in place which means it won’t fall over while you’re pressing down and the lever is in such a way that you need a firm press but it puts out a lot more force than you could manage by hand giving you more juice than other manual presses. It’s quite big so not the easiest to store but it’s very sleek looking do doesn’t look out of place on a kitchen counter. 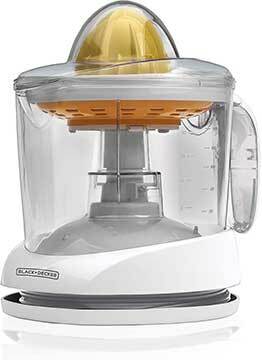 The most efficient manual orange juicer you can buy. 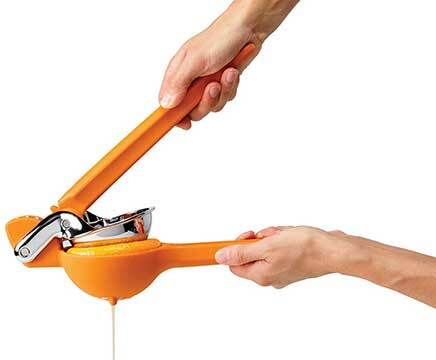 This handheld orange juicer is very clever because it’s got a dual-gear lever that works to squeeze harder with the same effort giving you more juice out the orange. It’s very simple to use and sits happily in the top shelf of the dishwasher, it’s only drawback is on volume, it’s ok using it juice a few oranges but if you’re preparing large quantities you’re going to get tired hand very easily. Perfect for cooking or making cocktails with. It’s probably one of the least effective orange juicers around but my mom had one growing up and it’s what I used so I wanted to include it. Purely for nostalgia’s sake. It works well enough and is fun with kids because it’s heavy duty and doesn’t break easily, no moving parts to trap your hands in and does in fact get the juice out the orange! Not a high recommendation but I wanted to include it.